From ancient times to today, one of Natchez’ greatest assets has been the majestic view of the great Mississippi River and the west beyond. This is the strategic view chosen by everyone from the Indians to the French, Spanish, English and Americans. It’s certainly one of the reasons that Natchez exists. Today, the Natchez Bluff is the magnet for activities and events that attract visitors and citizens alike. The setting of festivals, weddings, picnics, family outings, commemorative dedications, biking, power walking, strolling and jogging, the Bluff is also for those who simply enjoy the serenity of the endless vista, the multiple moods of the river and the sky, and the drama of the sunsets. 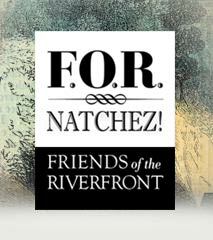 Now as then, the Natchez Bluff and Riverfront are central to the identity of Natchez. The Spanish designate the bluff as a public park. The town of Natchez was laid out in a typical Spanish grid plan around a central plaza and church with a public common on the bluff of the Mississippi River forming a noble and green esplanade. Following acquisition of the Natchez District in 1779, the Spanish founded the City of Natchez ca. 1790 to serve as the capital. In planning the town, the Spanish commander Carlos de Grand-Pre' saw the need to set aside a portion of this bluff front for the citizens. Historian Jack Holmes said Grand-Pre' realized that a "large plaza, which seemed out of proportion to the small nucleus (of the tiny settlement)" would "seem more suitable as the town grew in size." Manuel Gayoso de Lemos served as governor of the Natchez District during the 1790s. Under Gayosa, the city was planned and surveyed by John Girault in a typical Spanish grid plan around a central plaza and church with a public common on the bluff of the Mississippi River. According to Holmes, "He (Gayoso) created a public green or park which remained undivided into residential lots." Holmes said Gayoso "drew a line from Front Street, facing the bluffs, and forbade the granting of lots west of it." In the early 1800s, novelist and educator Joseph H. Ingraham noted that Natchez consisted of six streets "at right angles with the river, intersected by seven others of the same length, parallel with the stream. The front, or first parallel street, is laid out about 100 yards back from the verge of the bluff, leaving a noble green esplanade along the front of the city, which not only adds to its beauty, but is highly useful as a promenade and parade ground." Ingraham said that "shade trees are planted along the border, near the verge of the precipice, beneath which are placed benches, for the comfort of the lounger. From this place the eye commands one of the most extensive prospects to be found on the Mississippi." Source: Jack Holmes, "Stephen Minor, Natchez Pioneer," Journal of Mississippi History, Volume XLII, February 1980, Number 1. A land dispute in the early 1800s divides the city, territory. This ground belongs to the people, Congress said, and this ground shall be "preserved forever." The Natchez Bluff was first threatened by private development 200 years ago. It was 1804. Congress was involved in a land dispute with several Natchez aristocrats who claimed parts of the bluff to be private property. The Bluff had been established as a Public Common in the 1790’s during the Spanish era in Natchez by Governor Manuel Gayoso de Lemos. But, by 1804, Natchez was part of the United States. Eventually, Congress granted this "strip of land” on the edge of the Bluff to the City of Natchez. The Committee reports make Congress’ intention clear: The Natchez Bluff should be preserved for the American public forever. “Two centuries later, the property continues to be the subject of litigation and conflict, and battles over the bluff still rage. But anyone who would take the time to read a few reports in the American State Papers, under Public Lands, would clearly see that Congress granted this ground to the City of Natchez with the understanding that it be preserved as a public green forever. “Congress spent much time on this subject, and wanted the city to preserve the ground not only for the citizens of Natchez, but for the citizens of the United States, which totaled only a few million people at the time, but has grown a bit -- to about 300 million today. In fact, the documents even say that the bluff green is to be preserved for citizens and "strangers" alike. A stranger, supposedly, could be someone from Tibet. “For hundreds of years, people who have stood atop the bluff green -- from future Presidents to poets, from French, Spanish and British military leaders to the great chiefs of the Natchez Indians, from local citizens to international "strangers" -- have marveled at the view. If efforts are successful in the days ahead to reduce it, obstruct it or glitter it up -- Natchez would a lose a precious jewel, God-given and irreplaceable. In 1797, on a ridge edging the bluff common or public Spanish Promenade, Major Andrew Ellicott of the United States raised the first American Flag in defiance of Spain, whose officers had refused to evacuate Fort Rosalie pursuant to the 1796 treaty. Finally, in 1798, after successive rule by the French, English, and Spanish, Mississippi officially became a territory of the United States of America and Natchez was its capital. Today, the ridge is known as Ellicott Hill. Early Views of the Natchez bluff show a lighthouse, the Bridge of Sighs, the geological formations of the loess bluff and riverfront life Under-the-Hill. On the beautiful grounds of the Natchez riverside, beneath the towering bluff, a future president once stood and experienced the majesty of the loess hills at the Natchez Bluff. He and his men never forgot the greeting. 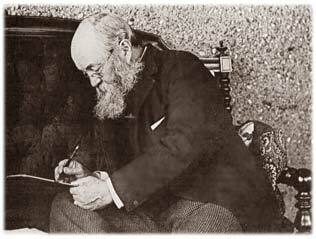 Frederick Law Olmsted, is celebrated today as the founder of Landscape Architecture in America. He is well-known for many projects including New York’s Central Park, Vanderbilt’s Biltmore Estate in North Carolina and the landscape surrounding the U.S. Capitol in Washington, D.C.
Olmsted visited Natchez in 1852. Then, he wrote of the overwhelming natural beauty of the bluff and the river view. “But the grand feature of Natchez is the bluff, terminating in an abrupt precipice over the river, with the public garden upon it. Of this I never had heard, and when….I strolled off to see the town, I came upon it by surprise. I entered a gate and walked up a slope, supposing that I was approaching the ridge or summit of a hill, and expecting to see beyond it a corresponding slope and the town again, continuing in terrace streets to the river….I found myself, almost at the moment I discovered that it was not so, on the very edge of a stupendous cliff, and before me an indescribable vast expanse of forest, extending on every hand to a hazy horizon, in which, directly in front of me, swung the round, red, setting sun. 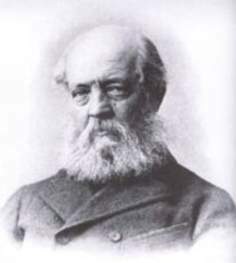 Olmsted in 1890, courtesy National Park Service, Frederick Law Olmsted National Historic Site, Brookline, MA. Through the otherwise unbroken forest, the Mississippi had opened a passage for itself, forming a perfect arc, the hither shore of the middle of the curve being hidden under the crest of the cliff, and the two ends lost in the vast obscurity of the Great West. Overlooked from such an eminence, the size of the Mississippi can be realized—a thing difficult under ordinary circumstances; but though the fret of a swelling torrent is not wanting, it is perceptible only as the most delicate chasing upon the broad, gleaming expanses of polished steel, which at once shamed all my previous conceptions of the appearance of the greatest of rivers….